Welcome to our Beginners Guide to Scuba Diving. Part 20 of this series takes a look at Tec Diving Expanding Beyond Recreational Scuba. Welcome to our Beginners Guide to Scuba Diving. Part 19 of this series takes a look at Learn Proper Dive Boat Procedures. Welcome to our Beginners Guide to Scuba Diving. Part 18 of this series takes a look at Dive Vacation Planning. Welcome to our Beginners Guide to Scuba Diving. Part 17 of this series takes a look at Diving in Overhead Environments - Wrecks, Ice and Caverns. Welcome to our Beginners Guide to Scuba Diving. Part 16 of this series takes a look at Specialties and Advance Open Water Diving Certification. Welcome to our Beginners Guide to Scuba Diving. Part 15 of this series takes a look at Reef Diving, the Real Aquarium. Welcome to our Beginners Guide to Scuba Diving. Part 14 of this series takes a look at The “Mystery” of Nitrox (EAN) Diving. Welcome to our Beginners Guide to Scuba Diving. Part 13 of this series takes a look at Drift Dives and Currents. Welcome to our Beginners Guide to Scuba Diving.  Part 12 of this series takes a look at Decompression Diving. Welcome to our Beginners Guide to Scuba Diving. Part 11 of this series takes a look at Dive Computers and why you should own one. Welcome to our Beginners Guide to Scuba Diving. Part 10 of this series takes a look at Medical Fitness and Diving. Welcome to our Beginners Guide to Scuba Diving. Part 9 of this series takes a look at Scuba Diving and Fitness. Welcome to our Beginners Guide to Scuba Diving. Part 8 of this series takes a look at Decompression Illness. Welcome to our Beginners Guide to Scuba Diving. Part 7 of this series takes a look at How to Improve Your Style and Dive Longer.